For all their destructive power, most volcanic eruptions are local events. Lava flows tend to reach only a few miles at most, while airborne ash and soot travel a little farther. But occasionally, larger eruptions can launch particles into the stratosphere, more than 6 miles above Earth's surface. 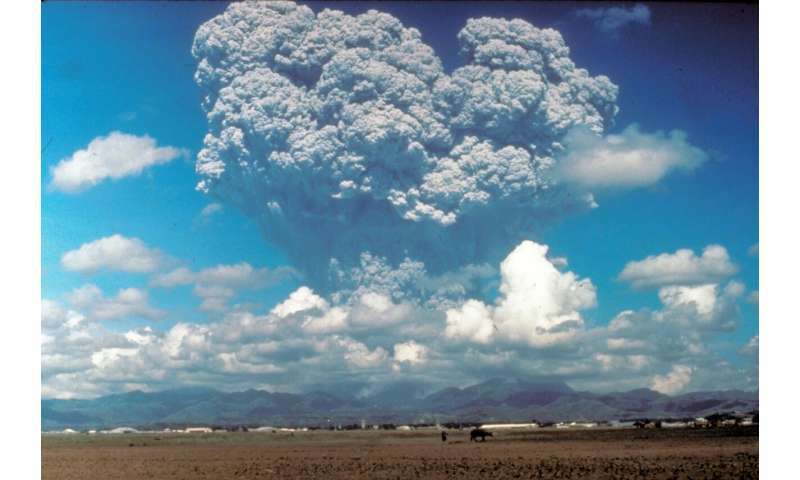 The 1991 eruption of Mount Pinatubo in the Philippines—the world's largest eruption in the past 100 years—is a prime example of a stratospheric eruption. Using their method, the researchers made some important revisions to the known history of big eruptions—correcting the record on several misidentified events while discovering a few as yet unknown stratospheric eruptions. The researchers described their approach, which identifies airborne volcanic particles with a specific chemical signature, in a paper published January 28, 2019, in the journal Nature Communications. 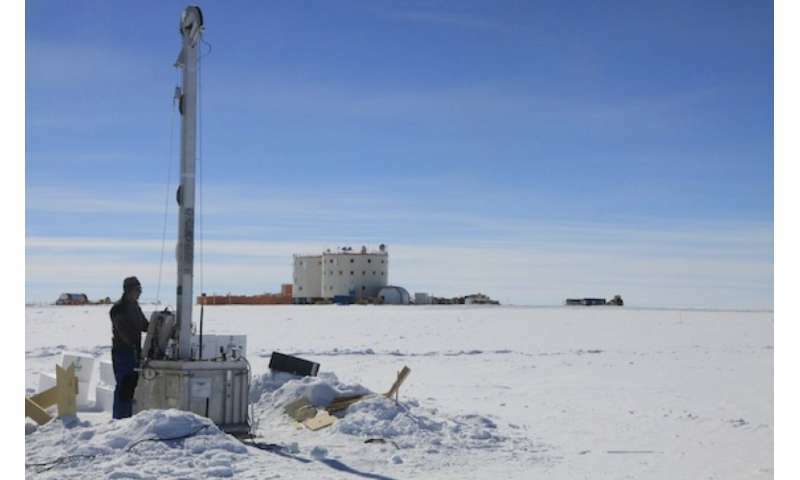 Because particles from large stratospheric eruptions can spread across the globe before falling to the ground, previous methods identified stratospheric eruptions by looking for sulfate particle layers in ice from both hemispheres—usually from Antarctica and Greenland. If the same layers of sulfate showed up in both cores, deposited at the same time in Earth's history, researchers would conclude that the particles came from the same large, stratospheric eruption. The research paper, "2600 years of stratospheric volcanism through sulfate isotopes," Elsa Gautier, Joel Savarino, Joost Hoek, Joseph Erbland, Nicolas Caillon, Shohei Hattori, Naohiro Yoshida, Emanuelle Albalat, Francis Albarede and James Farquhar, was published in the journal Nature Communications on January 28, 2019. IF these big volcanic events were mysteriously constrained to the Southern Hemisphere, would that not indicate that some unusual event was at work? Many theories are incorporating new info and one that supports Expanding Earth is that it opened like a clamshell, the new material creating the Pacific area increasing Earth by 50%.